Got your eyes set on going on a Texas ranch vacation? 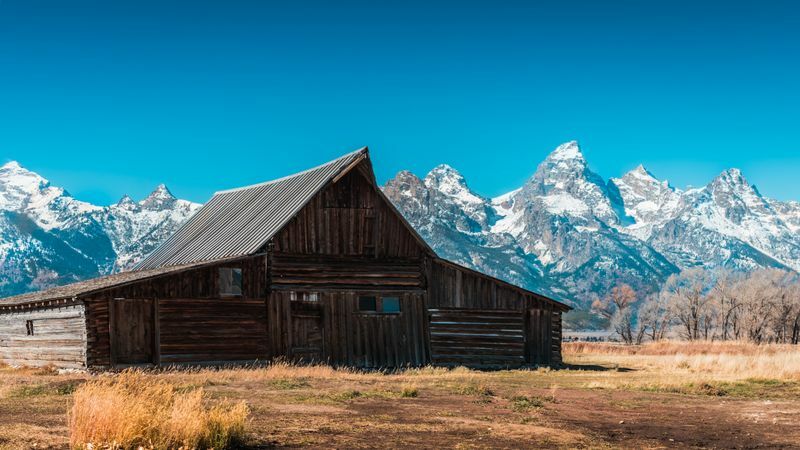 You’re probably on the hunt for some pointers that can help you narrow down a short list of ranch vacations that best suits your needs & preferences. Well, you’ve come to the right place! Here, you’ll find useful information on the types ranch vacations that are available in Texas as well as other insights that you ought to know including the state’s horse riding & ranch traditions, things you can expect to learn at a Texas ranch, and much more. 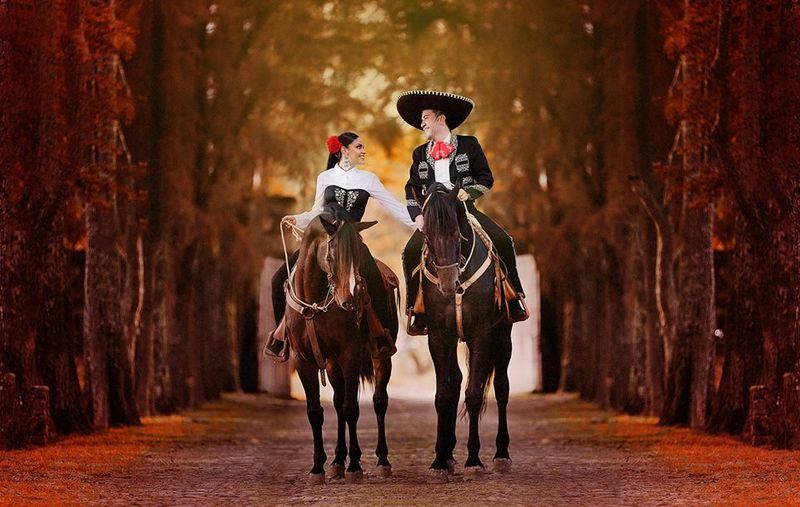 Texas horse riding traditions go back as early as the 1500’s – when the region was still under the rule of Spanish Conquistadors. The Spaniards introduced warfare on horseback and the horses that they had brought with them from Spain helped them to conquer large territories in South America all the way up to Texas & Louisiana. Fast forward to the 1800s, Mexico won the Mexican War of Independence against Spain. During this time, settlers across other regions of the United States began to come into the region to make a new home. 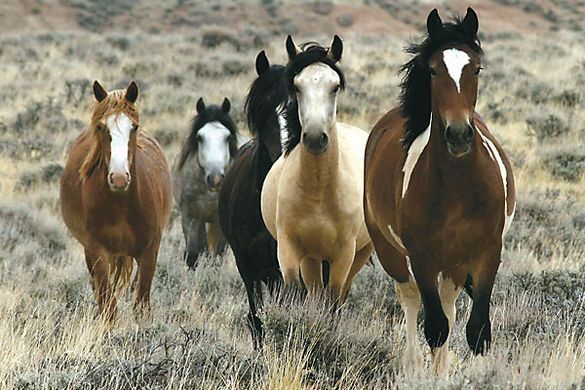 These settlers discovered that wild horses (descendants of the Spanish horses now known as Mustangs) were abundant in Texas and that they were free, as long as you are able to catch and train them – which was no easy feat. The settlers can also claim land and wild cattle (the Texas Longhorn) at no cost. This lead to the beginning was the beginning of Texas ranches. These ‘ranchos’ became a place where they gather the animals – to train the horses and to round up the cattle. In short, with horses & ranch living so deep-rooted in its history, if Western riding & an authentic cowboy lifestyle is what you’re looking to immerse in, Texas is definitely where you ought to go! Where in Texas are the ranches located? The 2nd largest US state by square miles, a mere 10 of the biggest Texas ranches make up a whopping 4 million of land (7,000 sq miles). You may also find it interesting that Texas also has its own ‘Cowboy Capitol’, Bandera, that is home to a large selection of ranches. That said, you would be able to find ranches quite easily across this vast state. From San Antonio to Houston, to the Texas Hill Country, Navasota and Fort Worth, the choices are plenty. What types of ranches are there in Texas? Though you can pretty much find all types of ranches in Texas, most ranches are guest or ‘dude’ ranches. This type of ranch is suitable if you’re looking for a combination of comfort, ample horse riding time, and a sneak peek into ranch living. 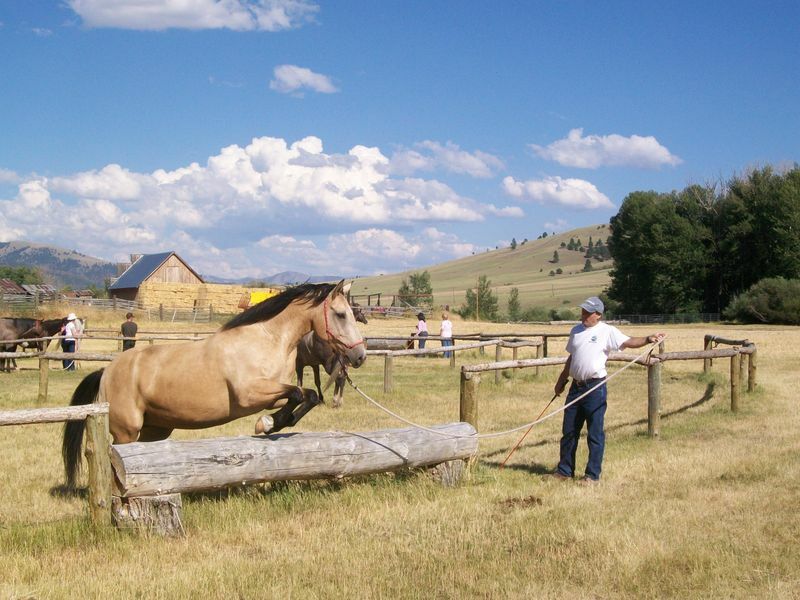 Suitable for solo riders, families (kids friendly), and large groups, a dude ranch vacation will enable you to experience the ultimate Wild West where you are indulged with excellent trail rides and a taste of life at the ranch. If you’re looking for extra pampering, you would be able to find plenty of luxury dude ranches in Texas too. 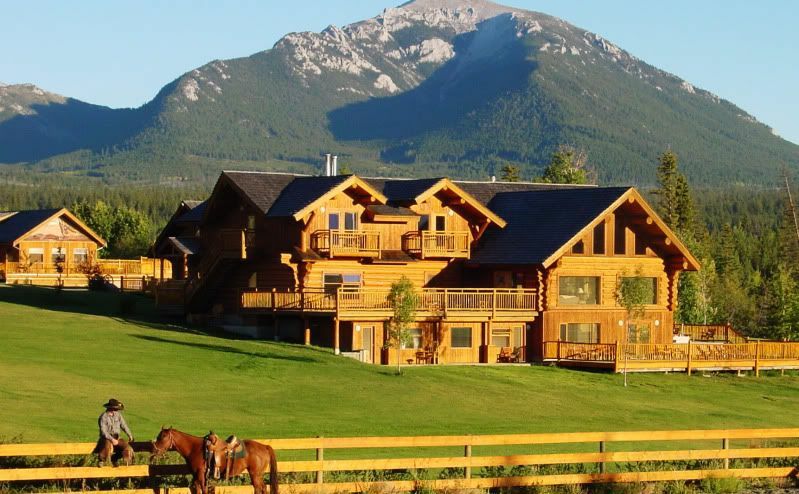 Also known as resort ranches, these are suitable if you’re seeking to experience a luxurious family vacation at a resort with a Wild West twist. 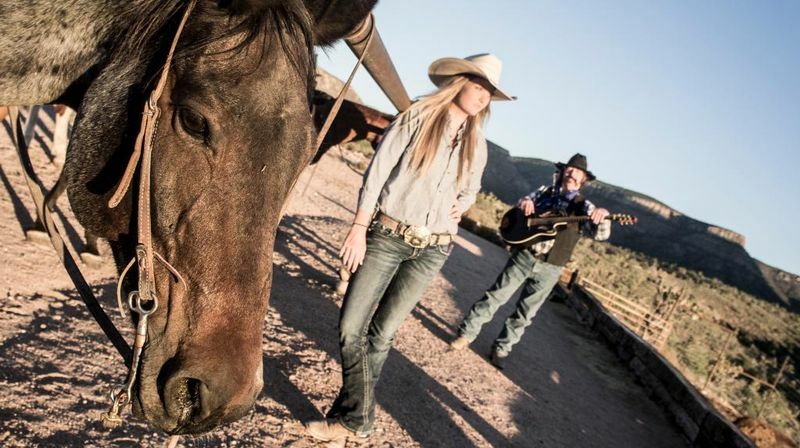 The difference between a ‘regular’ dude ranch and a resort ranches can mostly be found in the facilities and amenities offered. In a dude ranch, you would be a literal guest at a ranch. Accommodation will likely be a modest yet comfortable bunkhouse or room at the ranch as opposed to a more luxurious room or even a private cabin at a resort ranch. At a resort ranch, in addition to the facilities of the ranch itself, you’ll likely to find additional facilities that rival luxury hotels or resorts such as a spa, tennis courts, a swimming pool – and even a private golf course! 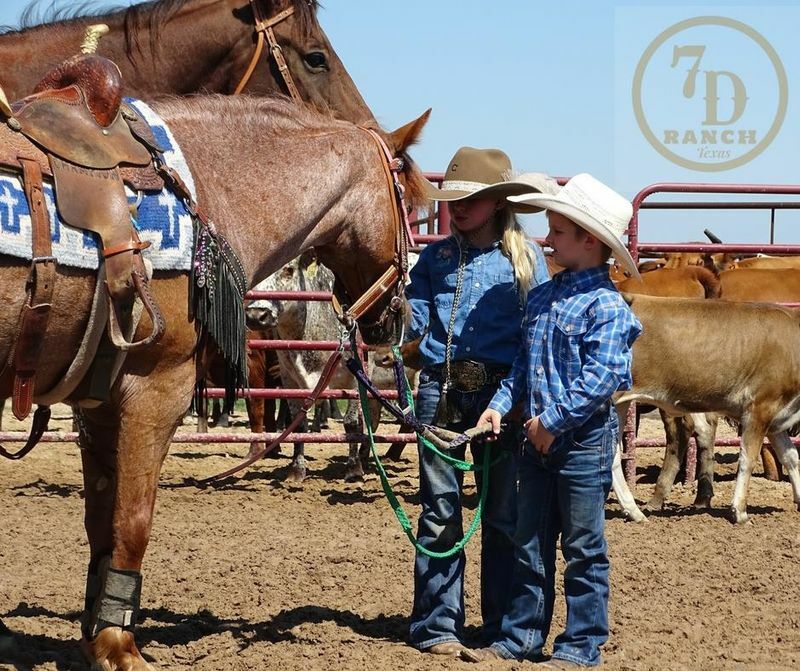 Alternatively, if you are looking for an experience as close to what real life cowboys and cowgirls go through on a daily basis, working ranches are your best bet. Here, you will be expected to work hard and to ‘rough it’ as you become a (temporary) ranch hand. It may be one of the hardest things you’ll do but one thing is for sure, you will be able to leave the ranch feeling a great sense of pride and accomplishment as well as a newfound respect for the hardworking boys and girls of the ranch. As you can imagine, working ranches are usually reserved for intermediate and advanced riders and they are not ideal for young children. What will I do & learn at the ranch? 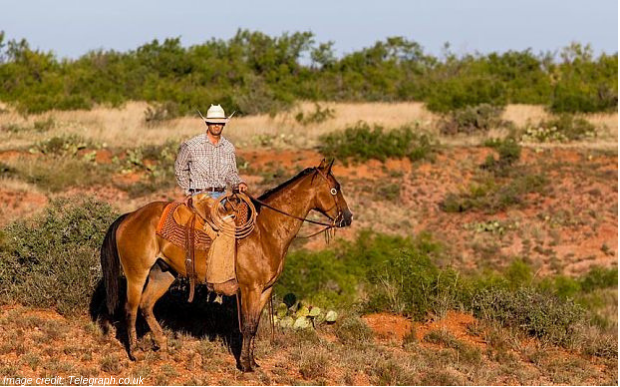 However, ranch vacations in Texas would always include some time spent saddling up – whether it’s within the ranch or trail riding outside of the ranch. 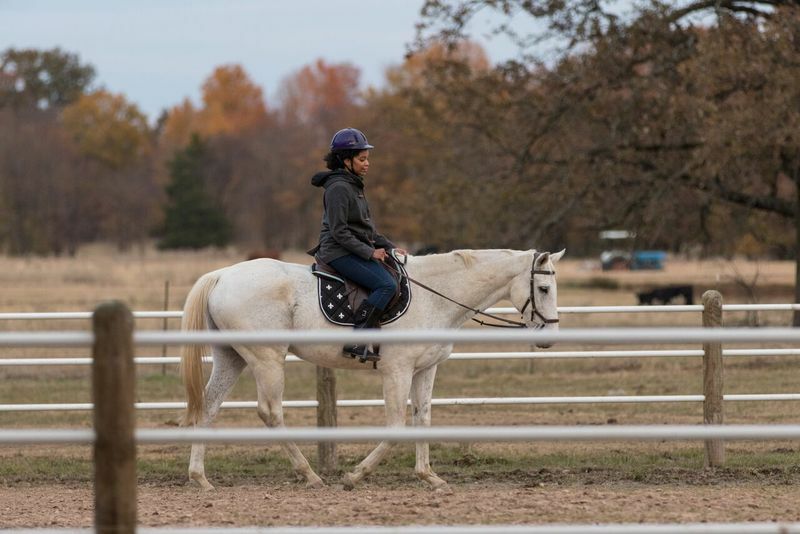 So whichever type or package of ranch vacation you choose, you will likely to improve your riding skills! Where can I go trail riding in Texas? 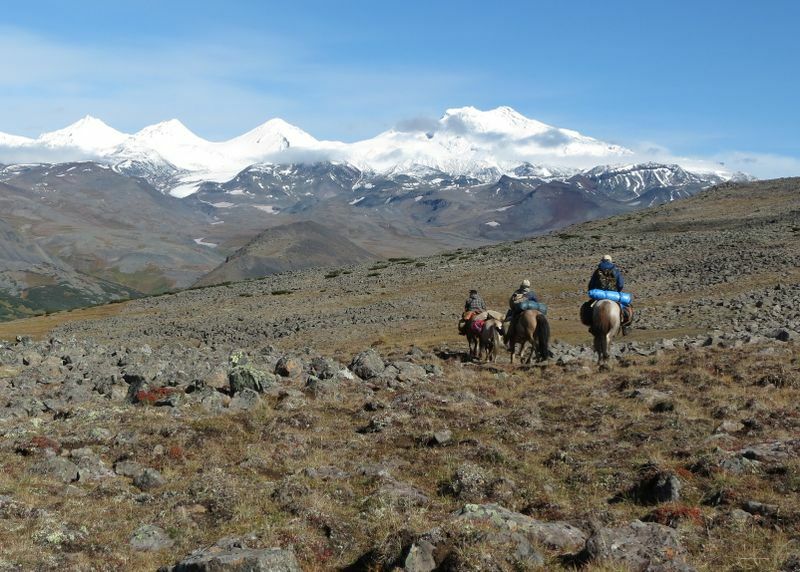 Note that in Texas, unlike in Montana, a state known for its legendary wilderness pack trips, multi-day trail riding with pack animals such as mules or donkeys carrying your baggage is uncommon. No need to worry though, if exploring Texas on horseback is also what you’re looking to do more of during your vacation, trail riding is certainly in abundance. Usually done in small groups guided by an experienced wrangler, you would spend a few hours to a whole day discovering all that Texas has to offer as you gallop through areas surrounded by Oak and Juniper trees. What should I expect on a cattle drive in Texas? It appears nothing is done small in Texas which also happens to be the nation’s biggest cattle state. Hence, it comes to no surprise that a Texas cattle drive offers an experience you can’t quite replicate elsewhere. 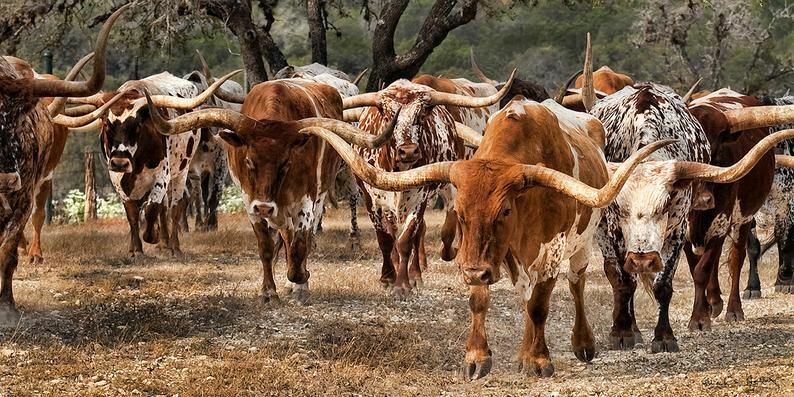 The great Texas cattle drives began in the 1800s when there was an abundance of the Longhorn cattle and there was a large demand for beef across the US. This is when the Texas cowboys began driving large herds of cattle to the north. Though the state has many cattle drive trails, there are two that are most well-known at the time: The Chisholm Trail and the Goodnight-Loving Trail. 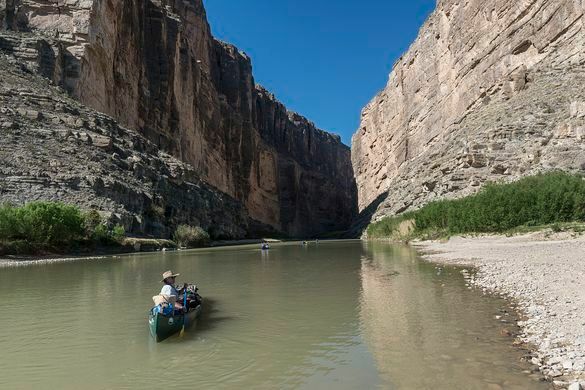 Named after the cowboy that created it (John Chisholm), in the first of its days, this trail began in San Antonio at first and later on the starting point moved to the Rio Grande that borders Mexico. 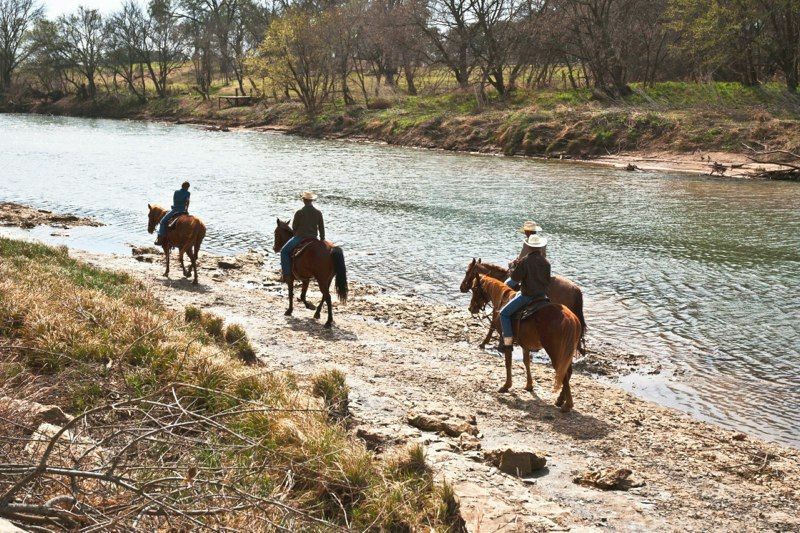 Through this trail, Chisholm along with other cowboys and vaqueros (cattle herders) had to herd the cattle not only across the land but across rivers and creeks too namely – The Colorado River, the Brushy Creek, the Brazos River, and the Red River. Also named after those who first ‘carved out’ the path (Charles Goodnight and Oliver Loving), this trail enable herds to be moved from Texas to Colorado, New Mexico, as well as the Western part of the US. This trail was particularly useful for cattle drive as it avoids areas where Native Americans reside and were considered to be dangerous. Today, these two trails are rarely used but are often visited due to its important history. Should you decide to partake in a cattle drive in Texas, you will be driving cattle across shorter distances (usually from one part of the state to another) compared to centuries ago. That said, the experience itself is going to be as authentic and unique as it gets. You will be accompanied by a crew of 10 – 15 seasoned cowboys, wranglers, and vaqueros as you learn and assist them to move the massive Longhorn cattle – a feat that will require immense focus and skills. 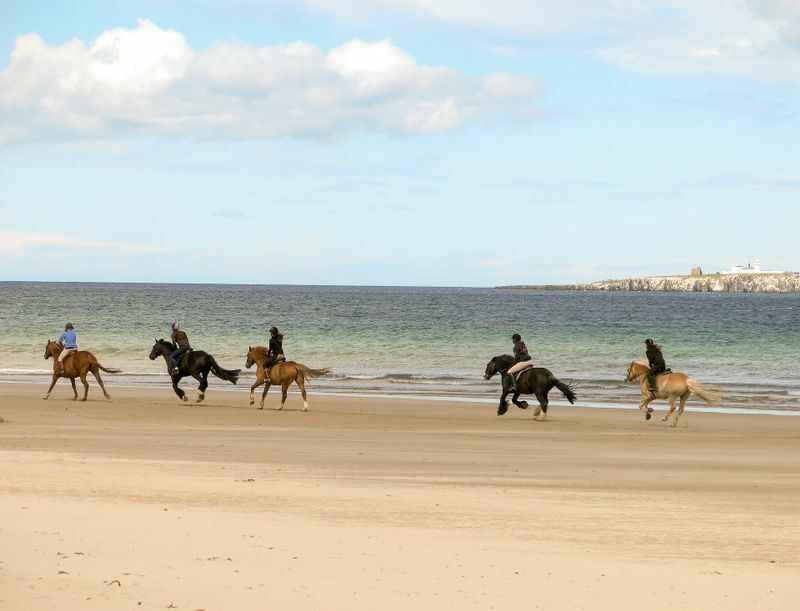 It will surely take your horse riding & wrangling skills to the test! What other outdoor activities can I partake in Texas? Craving for even more exciting outdoor activities while you’re in Texas? Thanks to its varied terrain & wide-open land, ranch vacations in the Lone Star State often include other excursions in the great outdoors such as hiking, mountain biking, climbing, fishing, and boating. If you’re interested in extending your trip for a camping excursion, Big Bend National Park comes highly recommended. This designated International biosphere is home to three big camping grounds and offers excellent nature watching. Should you’d like to spend more time in and around the water, Devil’s River State Natural Area is the place to be. Located north of the famous Devil’s River. Here you can take in breathtaking sceneries and fresh air while enjoying fun activities such as canoeing, fishing, and swimming. Looking for the ultimate Wild West experience? Why not sign up for a ranch vacation in the USA?